B 17F 42-3280 shot down over the North Sea 26/7-1943. The aircraft belonged to USAAF, 8 Air Force, 94 Bomb Group, 333 Bomb Squadron and was christened “Cherokee Maid”. At 11:55 ”Cherokee Maid” was attacked by a German Bf 109T fighter believed to be piloted by Uffz Rudolf Dölling of Jasta Helgoland. Dölling attacked several times and during one of these passes he was wounded in his left arm by return fire from one of the waist guns. Finally the B 17 crashed into the North Sea east of Helgoland. Two crew members managed to bail out but only Co-Pilot 2. 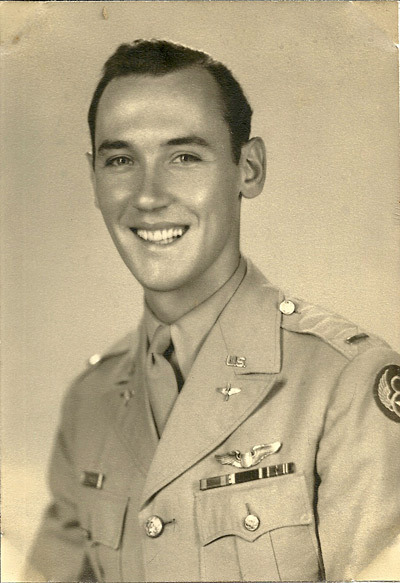 Lt Bruce Kreischer survived to become POW. Pilot Lt Harold Alsop, Left Waist Gunner S/Sgt Romeo L. Varacchi, Bombardier 2.Lt Leopold S. Poduszcczak og Radio Operator T/Sgt Glen H. Sheets have no known graves and their names are found on Tablets of the Missing at Cambridge American Cemetery, Cambridge, England. Navigator 2.Lt Charles Matthes and Top Turret Gunner T/Sgt Joseph Browne today rests in Ardennes American cemetery in Neuville-en-Condron in Belgium. 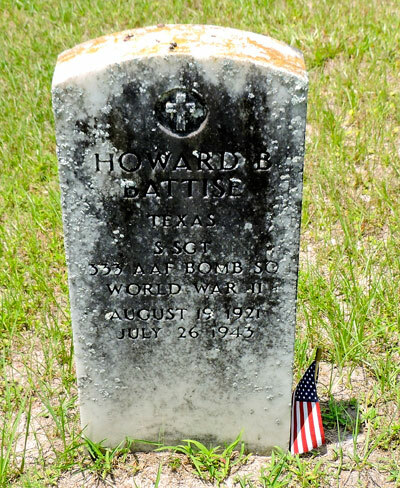 The body of Ball Turret Gunner S/Sgt Howard B. Battise was found washed ashore near Vested on 29/8 and was laid to rest in Fovrfelt cemetery in Esbjerg on 2/9 1943. On 30/4-1948 his body was disinterred and taken to the US Millitary Cemetery Neuville-en-Condron in Belgium. 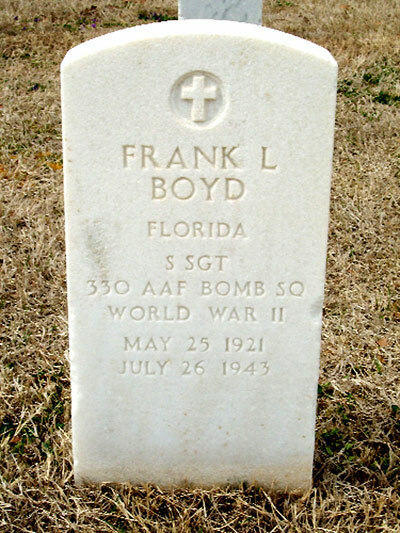 Today he rest in USA where he was buried at Indian Village Cemetery in Texas i 1949. On 22/9 Receiver of Wrecks Iver Miltersen Christensen found the body of Right Waist Gunner S/Sgt Irwin Sewell in Beach Area 38 at Søgård Forstrand beach. German soldiers would not allow Christensen to remove the body and subsequently it was taken to Lemvig by the Wehrmacht and laid to rest in Lemvig cemetery on 29/9 1943. On 23/9 Receiver of Wrecks Simon Jepsen Poulsen found the body of Tail Gunner S/Sgt Frank L. Boyd washed ashore in Beach Area 18 near Aargab and took it to his farm where it was inspected and identified by the Danish police. Later it was handed over to the German Wehrmacht from Søndervig who took it to Lemvig where it was laid to rest in the cemetery on 28/9 1943. Both were disinterred and taken to the US Millitary Cemetery Neuville-en-Condron in Belgium on 4/5-1948. They were both brought to USA in 1949. 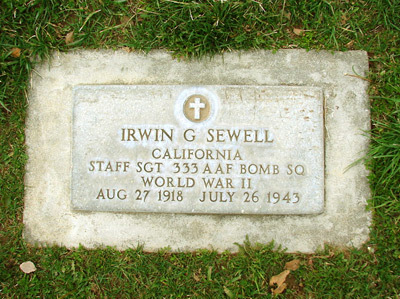 Sewell now rest in Mountain View Cemetery, Beaumont, California while Boyed rest in Chattanooga Tennesee Natl. Cemetery. Sources: BE, BL, UA, Police reports Ringkøbing police, ABMC, MACR via FB, Messerschmitt Bf 109T by Marshall.